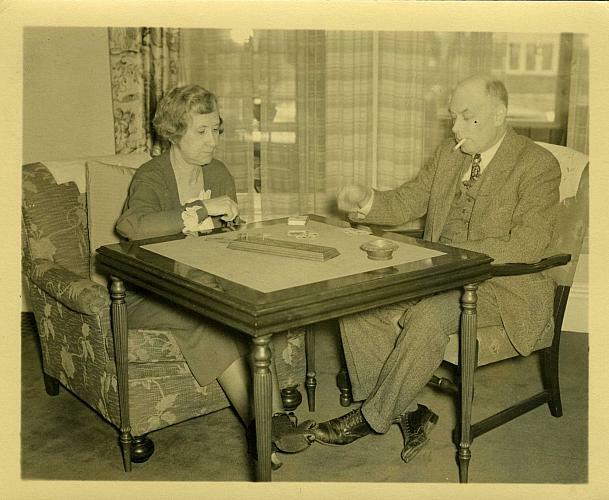 Bert and his wife, Linda DeMotte Long, came to the Eastown area of Grand Rapids in 1908 when he assumed the position of city editor at the GR Press. His career began at the age of twelve in Flint when, as eldest son of five children, he left school to help support his newly widowed mother and siblings by working as a printer's devil. 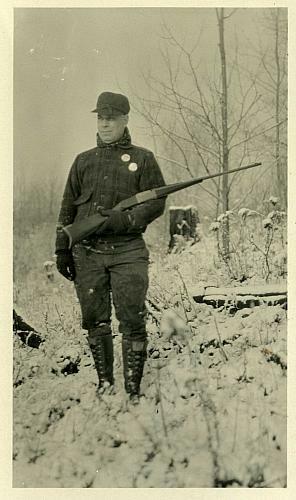 During the Spanish American war he was both a soldier, attached to the 33rd Michigan volunteers, Co. A, in Cuba and a war reporter for the Flint paper. As an avid sportsman he enjoyed hunting, fishing and golf. He became a member of the GR Camera Club in 1911, served as its president in 1914, and had prints in local, national and international exhibitions. He was an early experimenter with color photography and used French glass plates with a process known as autochrome lumiere. Developed in France by the Lumiere brothers, it became available in 1907 and was the primary method used to achieve color photographs until the advent of color film around 1935. Most of the developing was done by "touch" in complete darkness. He also practiced his love of photography with his family. It is reflected in pictures of his children which he took at every opportunity. 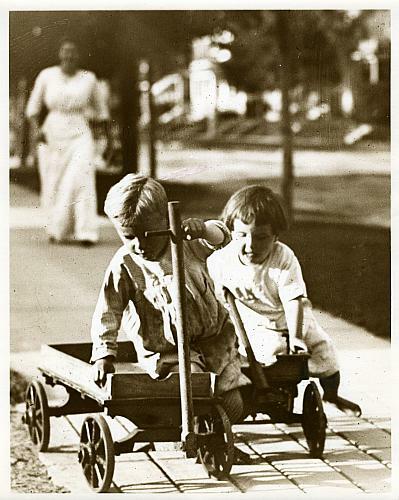 Here son Stuart and daughter Elizabeth play with wagons, probably on Norwood Ave., while their mother supervises in the background. 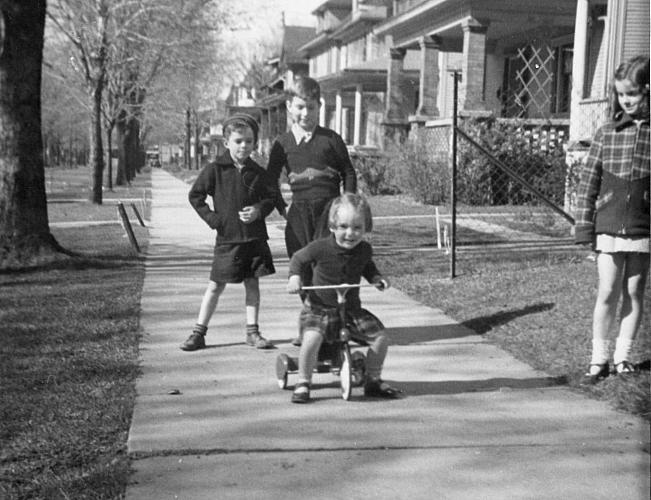 After the children were grown, grandchildren and the neighborhood became subjects for his ever-ready camera. The photograph was taken in the 500 block of Ethel Ave. where he spent most of his life in Grand Rapids. 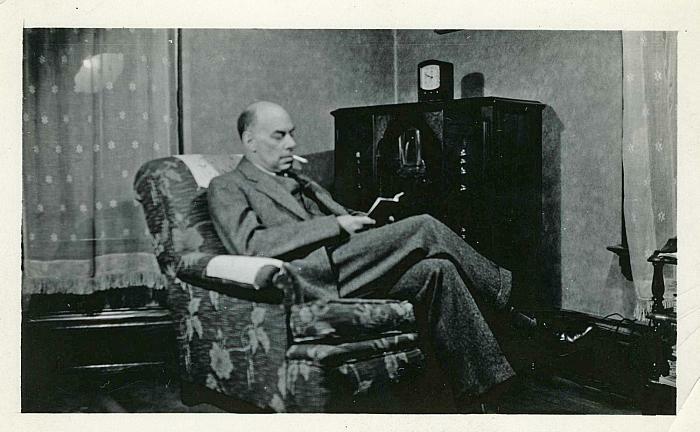 As a newspaper man he was an avid follower of the news and could often be found beside the radio with a book and his habitual cigarette. He loved language and the written word, thus had a great respect for everything connected to good editing. 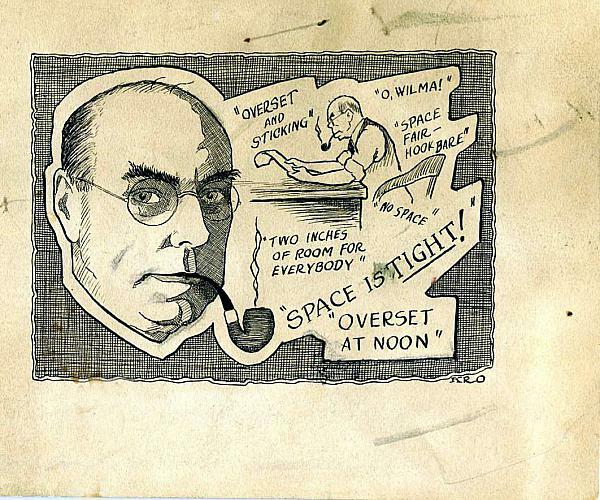 When World War I broke out Bert became news editor at the Press and held that position for 22 years. Perhaps this caricature was penned when he retired in 1941 to enjoy for many years his hobbies of fishing, photography, and listening to Harry Heilmann call the Tiger Baseball games during summers he spent at his cottage on Chippewa Lake near Big Rapids. He passed away in 1957 and is buried with his wife, Linda, at Woodlawn Cemetery. Unlike today, professional baseball, including the Detroit Tigers, was severely affected during Word War II by travel restrictions and the loss of players who had either enlisted or been drafted.